Assos generously applied, the two were laughed at by a millennial receptionist. Like the often described 'difficult second album', we embarked on our 2nd day with the feeling that we'd probably struggle to match the success of the first. 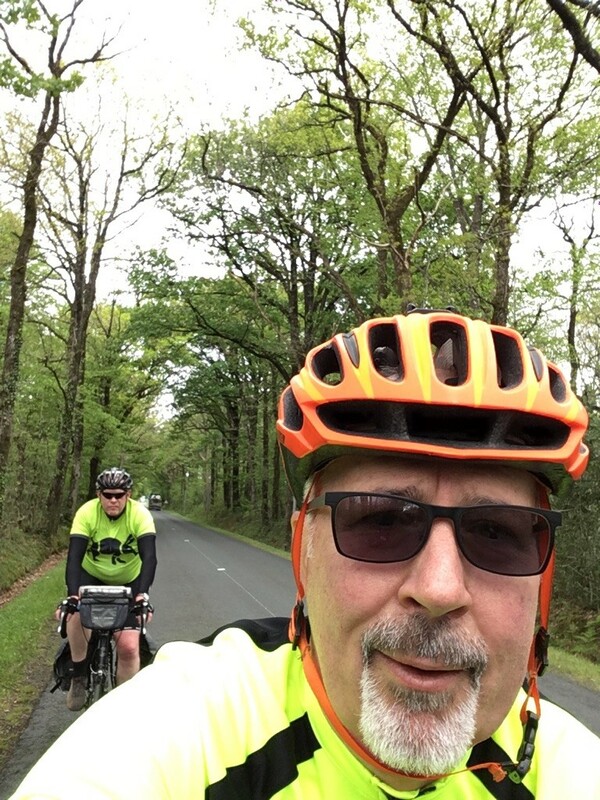 Although today was a fairly straightforward run from Nantes to Lucon - some 62 miles - we had the prospect of rain, strong cross winds, and a whole world of arse pain. Departing 'Nonce' was fairly easy - and the legs felt good despite the cold start. The hotel receptionist took our picture while laughing uncontrollably - a bloke could be offended - but that was about the only notable part of the morning. 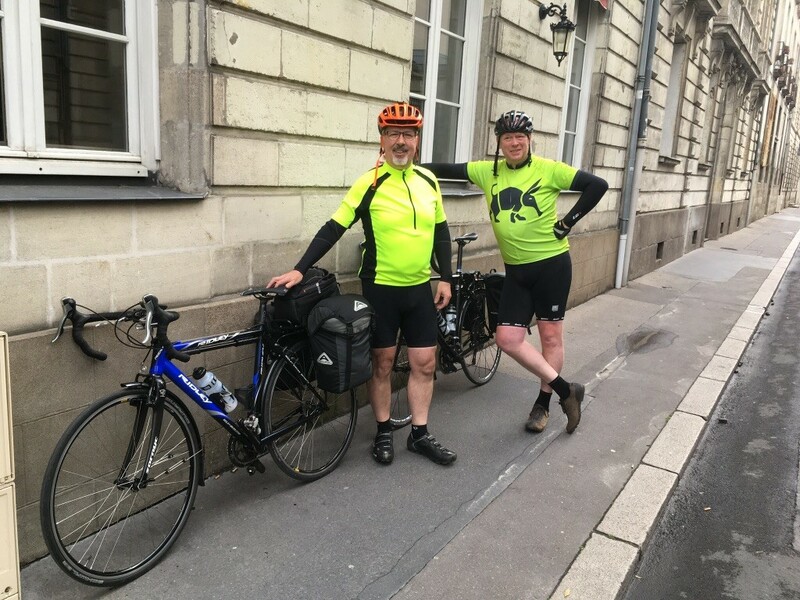 After a lunch of entrecôte and 'crumble cheesecake in a restaurant where noisy children were encouraged to run into tables and hurt themselves quite badly, we hit the road to nail the remaining 25 miles - at which point the weather got a bit tasty. There's a very specific point at which it's raining too hard to be comfortable, but not hard enough to warrant stopping to put on waterproofs - we dodged in and out of showers like this all afternoon, until we reached Lucon and 4-00pm. It's an attractive little town, marred only by the fact that it looks like Time Team have been and dug up every street, and prevented any people from entering them to get to the middle. Dave has been on top form - today we talked about ugly cars, how we would fix the NHS (that was fairly easy and didn't take long), and why it's not a good idea to follow through on a bike, or anywhere else really. Off to have a quick shower now, then it's time to hit the streets of Lucon - the ones that are actually open to pedestrians. Yes, the obligatory 'action shot'... That's what 12mph looks like ladies.